Can you now claim your Pag-ibig retirement benefits? There are only five conditions in which you are allowed to claim your Pag-ibig retirement benefits. Under the sixth reason — death — your beneficiaries will get your benefits. Or you have already retired from the SSS or GSIS. Or you have retired from your company under your company’s early retirement plan and you are 45 years old or older. You have 240 monthly contributions or more and you are 45 years old or older. You have permanent and total disability. You have been formally separated from service because of serious illness. You have immigrated to another country. Death. Your legal beneficiaries will get your benefits. For each of these conditions, you have to submit proofs. On the Provident claim form, you can see the list of required documents. The type of required documents depend on your reason for retirement. You can download this form from this Pag-ibig Fund’s Google Docs page. Bring original IDs for verification.If you don’t have a Pag-ibig Loyalty Card, submit photocopies of 2 valid IDs. Bring original IDs for verification. Is your date of birth shown in your IDs? If not, submit Birth Certificate issued by the PSA (formerly NSO). If you have no Birth Certificate in the PSA, submit a Certificate of Non-Availability of Birth Record from the PSA and a notarized Joint Affidavit of Two Disinterested Persons attesting to your date of birth. Submit your notarized Certificate of Early Retirement. If you are a government employee, submit a photocopy of your GSIS retirement voucher. Bring the original. and a photocopy of your Service Record. Bring the originals. and a photocopy of your Statement of Service. Bring the originals. List the companies where you worked, addresses of these companies, and dates when you worked in these firms. Go to Pag-ibig Fund and ask for a copy of your contributions. Go to the Pag-ibig branch where your last company is making its Pag-ibig submissions. Bring 2 valid IDs. Check if all your Pag-ibig monthly contributions are included. If there are missing contributions, think if these could have been submitted in another Pag-ibig branch. Companies usually make submissions to the Pag-ibig branch nearest to them. If you need to, request for a consolidation of records. This is a copy of the Pag-ibig Request for Transfer of Members’ Records form. If you’re making a claim for your parent or relative, have a SPA or Special Power of Attorney. This is a copy of the SPA for Pag-ibig Claims. Sana po mapa bilis na po pag process ng retirement claim… Ano po b ang esttimated days para makuha yong pera na pinahirapan po namin…sana po this 2019 , ay mabago na system nyo. Hi Antonio, pumunta ka lang sa Pag-ibig branch mo with your valid IDs and pen. Kung malayo ang branch mo, puede naman sa pinakamalapit na Pag-ibig (yong malaking branch, yong hindi sa mall). One month siguro ang processing. After filing, dapat meron silang ibigay sa iyo na papel na nakasulat don ang estimated date na puede mo nang i-claim ang pera mo. Humingi ka ng phone number na puedeng tawagan. ako po si ANTONIO B. TAINO EDAD 60 GULANG TAON, GUSTO KO PO MAG FILE NG RETIREMENT PAANO PO ANG PROCESO ? ILAN ARAW ANG PAGAANTAY.. KAILANGAN LANG PO PAMBILI NG MGA MEDICINE. I just like to thank you for your reply. You gave me an idea what to do. I chat with 3 Pagibig representatives. And they all advised me to send an email to Pagibig. I am always hesitant emailing government offices . But they did a good job finding the record of my contributions. In 4 days they sent me a copy. Now I am on the process of filing a claim so I can use the money. Hi Maria, call Pag-ibig 724-4244 at tanungin mo kung puedeng i-search nila kung saang branch ang contributions mo. Baka nasa Makati. Ask mo rin mga former office mates mo kung naka-claim sila sa Pag-ibig. Kung hindi sila nag-remit, mag-file ka ng complaint sa Pag-ibig Makati. Puede ka rin magtanong sa DOLE diyan sa Cavite. Engr. IGNACIO S. SANQUI, Jr. DOLE Cavite Provincial Office Phone No: (046)419-08-30 (046) 423-3223. Baka meron ding DOLE desk diyan sa munisipyo mo. Nagpunta ako sa Pagibig Imus para mag-file ng claim. Kaya lang wala silang record ng contribution ko. 20 years ako nag-work (1982-2003). Dati sa Makati -base ang company namin pero lumipat sila sa Cavite. At nagsara na din sila. Ano ang dapat kong gawin? Nagfile ako ng Pagibig Provident Fund last September 12,2018 sa Calamba Branch.Kailan ko makukuha ang check ko? Hi Leah, nag-research ako ng record or document retention law in the Philippines, at 10 years yong maximum na required ang employers to retain personnel records. Nabasa ko sa isang BPO firm. Yong credit cards ko at bills ko, merong notes doon na they will destroy records after 5 years. At meron pang law na dapat ma-destroy ang certain records at a certain point due to the data privacy law, so hindi mo rin masisi yong former employer mo kung wala na silang records of your 1990-1995 contributions. Limited ang time ko to research, so if you can also research, it’s great. What is employer’s resolution if an employee of 2o years ago is asking for a certificate from the employer that the said employee has Pag-ibig contribution from 1990-1995, when the employer can no longer verify if may contribution nga sya kasi hindi na naretain ung records. Plus the fact that Pag-ibig contribution has become mandatory only in 1995. The former employee is asking for proof of remittance from the employer from 1990-1995. Hi jay, ang sinasabi ng Pag-ibig is 1 month, pero merong mga nagco-comment dito na 2 months na, wala pa raw. Usually, meron silang ibinibigay na acknowledgment slip at nakasulat don ang estimated claim date. hi, if everything is in order, how long does it normally take to receive your provident fund claim from date of filing? Hi vilma, yes, puede sa Pampanga branch. Ifo-forward na lang nila yong claim mo sa Manila branch mo. kahit po sa maynila nagremit ng pagibig contribution puede po bako mag claim sa pampanga. naka 240 na.po ako at nagretire na po ako. Hi Eva, yes, para masagot kayo nang tama sa Pag-ibig office, dalhin ang death cert ng asawa, marriage cert nio, then IDs nio. Hahanapin nila ang record kahit hindi mo alam ang Pag-ibig number niya. Yes we do not have a retirement plan in our company policy. We would like to comply with DOLE and this is one of our concern. Our company is in the resort industry and our finances is based on season. How do we implement the RA 7641? What are the procedures? Hello po ask ko lang po kasi nakakuha po ako nang provident claim ko nung nastroke ako nilakad lang ng anak ko. Mag 55 yrs old na ako pero di na ako makapag work. Pde ko na po kaya iwithdraw yung TAV ko? salamat po sa sasagot. Gang ngayon po kasi di pa din ako makakilos ng maayos. Disable pa din. I just turned 65 last June. I don’t recall my monthly contributions to Pag-ibig. What I do recall is my SSS contributions which is 56. Am I entitled to a retirement benefit from Pag-ibig? One more question if you don’t mind, is there a branch in Cubao? Hi John, yes, if a company does not have its own retirement plan, what’s implemented is RA 7641 which says that the retirement benefit at age 60 to 64.99 is half-month salary for every year of service for those who have rendered at least 5 years of service. Was that what you’re asking or did you mean another thing? Is is possible to use the “Substitute to Retirement Plan” RA 7641 if a company is unable to provide a Retirement Plan or has no Retirement Plan at the moment to it’s employees due to the financial status of a company? Ex. Resort company with 100 employees and the financial strength of the company is based on the season. Hope to hear from you soon. Thank you. Hi Arleen, mas mabilis kung sa Pag-ibig branch ng papa mo siya humingi ng copy at doon siya mag-file ng claim kasi andon ang records ng papa mo. Bring IDs. Kung walang senior citizen ID na andon ang date of birth, bring birth certificate from PSA. Make clear photocopies. Yong claim form, sa Pag-ibig na humingi. Mag 61 na po papa ko this October, on going na din pag aasikaso nya sa kanyang sss pension. 1. Ask ko po regarding copy of pag ibig contribution made, sa any pag ibig branch po ba pwedeng maka hingi? 2. Any pag ibig branch d8n po ba pwede sya mag file ng claim? 3. Anu po ang dapat dalhin para maka pag file ng claim? Hi joyce ann, mag-file na ang mother mo ng claim sa Pag-ibig, at mas mabilis kung sa branch niya siya mag-file, kung malapit lang naman ang biahe nio. Dalhin lang niya ang IDs niya at doon na rin mag-fill-up ng forms. Hi Nora. anong mangyari pag mag early retirement at meron pang housing loan? Hi Margie Ann, yong property ba na nabili through loan ay diyan kayo nakatira? Maraming years na bang nagbabayad? Ang monthly amortization ba ay affordable, na parang rental lang, na ganun din ang babayaran nio kapag umalis diyan sa property na yan at mag-upa na lang? Wala bang magpatuloy na magbayad sa iyong family? Or meron kayong ibang tinitirhan na pag-aari ninyo at investment lang itong property bought through loan? Ang realidad kasi is kung hindi mabayaran ang loan, mafo-foreclose ang property. Mag-umpisa ang foreclosure process after merong demand letter from Pag-ibig. Meron bang puedeng makapunta sa Pag-ibig at magtanong ng mga options to avoid foreclosure? Kung walang magremedyo, ang isang option para hindi masayang ang mga nagasto nio na sa property ay ibenta ang property with assume-balance agreement. Yong buyer ang magpapatuloy magbayad at ireimburse kayo sa mga naibayad nio na — puedeng total lahat ng payments nio, or merong din patong, depende kung maganda ang location at development. Mabenta ang property kung makita ng buyer na mas cheaper ang magasto niya kesa bibili ng new property. Sorry na yan lang ang masabi ko. Meron pa — get up in the middle of the night and pray to God like you have never prayed before. Do this every night — I did this years ago for many nights, and God heard my prayers. Hi Jesus, puedeng 1 month to 2 months or several months. Ask lang po if how many months ang processing ng retirement claim. My father applied for his retirement claim last December 14, 2017 and up until now, there is still no update. Until how long will we have to wait. Hi Gilda, are you already 60 years old or older? Did you save only in Pag-ibig 1? Or did you save also in Pag-ibig POP or MP2? I have filed my Pagibig Retirement benefits since Aug.2017 ..I am retired ofw… till now didnt received.I inquire in Pagibig the other day ..accdg to them still not process yet for ofw .. I had filled my pag-ibig fund retirement last month of December 2017. as now Iam waiting for the status if this already process on my retirement. Hi,ms nora ask lang i filed death claim of my wife last july 19,2017 and until now wala pa feedback from pag-ibig ortigas , because my deceased wife worked in a multiple employers in manila,i filed these death claim here in cebu and they said they will forward it to ortigas for processing,until now nothing and i have acknowledment receipt mention processing time 2 to 3 months and contact number , is it true ms nora mas matagal processing pag nag worked misis ko multiple employers? Hello! Just retired from the company where I worked with last September 30, 2017. So, what are the things that I should do as a member of PAG-IBIG and requirements needed. Thanks for the help. Expecting your answer regarding this. My father in law is earlyretire sa work nya dhil d na kaya mag work dhil disability na sya pwde nb kami mag file sa pag-ibig para makakuwa po sya pls..
May kakilala po ako binibenta niya yung lupa niya , pero dahil magkakilala naman kami pumayag siyang installment thru PAGIBIG , magreretire na ako ngayong March 2018 , 60 years old na ako. Pwede pa din ba ako magloan ng lupa at ako ang principal as retiree ? May I know if kung makakaavail pa ba ng Retirement benefits sa Pag-ibig ang isang member na ngavail ng Dacion en Pago sa kanyang foreclosed property (availed thru housing loan ng Pagibig)? Hi po, question lang po. nag babalak po kasi kaming ipa-renovate itong bahay namin, ipapa-2nd floor po sana namin at balak ko po sanang i-loan sa pag ibig ung pang gastos po at the same time po kaka-1st loan ko palang po sa SSS, tanung lang po hindi po ba ako malulubog masyado po sa bayarin kung gagawin ko po iyon? Yun po kasi ang kinakatakot ko po, okay lang po bang pag sabayin ang loan ko pi. Thank you sa pag sagot po! Hi May, hindi pa kasi merong housing loan. Pero kung 65 na ang father mo, try to call Pag-ibig and ask, kasi 65 ang mandatory retirement, so dapat ibigay na yong retirement benefit. Mam ask q lng po ung uncle ko ng claim n 60 cia..my m claim p po b kme kc sbe ng iba meron p dw interest dw…..pg retired sss k po ba authomatic my hulog din ang pag-ibig fund..
Hi! Ask ko lang po about sa pede ma-claim ng father ko (if meron man) nag work sya sa MWSS for 10yrs and then natigil sya. 1990’s.. anu po ba ang dapat gawin since matagal na din un., may record pa kaya sya? Hndi na rin nya alam ang policy number nya. Thnk you. Hi Edgar, oo, nadagdagan pa rin ng dividends yong savings mo, pero what I know is that hindi mo pa puedeng kunin yong savings mo kung meron ka pang housing loan. I’ll check uli kung merong nagbago. Hi Ms Nora, 60 yrs old na po ako, may outstading home loan ako worth 500k plus, binabayran ko monthly, pwede pa po kaya akong mag-avail ng cash devidends? Hi Irene, yes, puede pa, kahit 65 na at kahit less than 240 contributions. If he cannot claim it himself, you can file for him pero you get a SPA. These are the Pag-ibig SPA form and other claim forms. Yun poba provident claim sa retirement kailangan i file once a person reach 60 with in a year,65 napo kasi father ko di pa sya nakapag claim.pwede papo ba nya i claim yun? paano po malaman kung ilang monghs na ang contribution ko?? Hi Edgar, kung meron kang 240 monthly contributions (20 years of contributions) sa Pag-ibig, puede ka nang mag-file to claim your savings plus dividends (provident benefits). Bring your valid IDs and fill up a Provident claim form at your Pag-ibig branch. Pero kung less than 240, you need to wait till you turn 60 before you can claim your Provident benefits. To whom it may concern.have a nice day! Ask Ko po kung paano mawithdraw ang contribution Ko na since 2004,poh ako nag voluntary resignation Ko sa agency. Pero nag closed napoh ang agency…so now paano Ko ma claim poh o ma widraw dahil wala na poh aq trabaho?at age 50 napo ako ngaun? Anu poh ang requirements…thank u!! hi. ako po ay malapit ng makakumpleto ng 240 contributions – mga October 2017. nagkapalya po ako dati sa hulog ng premium at loan pero i-offset na nila yun sa savings yun loan. ask ko lang po. if pwede ko pong magrequest na ng withdrawal pagdating ng october 2017? may kailangan pa po ba akong isubmit na mga documento? kung sakali namn po at hindi ko pa kunin yung provident savings ko po at instead ay magloan ako, makukuha ko po pa ito kahit after another two years pag natapos ako magloan? kasi may nagsasabi na kailangan daw po e withdrawhin na agad after maka 240 monthly contributions kasi baka hindi na daw mawithdraw pag lumampas pa. after 5 more years daw pa bago mo makuha. Ask ko lng po Kung merun na ung retirement ni Mr. Macario borile? hi mam my anti is 60 years old today and she is active in the service what will be the benefit of him? Hi Jose, mag-apply ka ng senior citizen ID mo sa Office for Senior Citizens sa inyo. Magtanong ka sa barangay ninyo kung paano mag-apply. Mag-apply ka rin ng digitized postal ID (yong plastic card, hindi yong nila-laminate lang). You need your birth certificate and proof of address (barangay cert or latest utility bill showing your name and address). Fee is around 415 pesos, including delivery fee. Another option for Pag-ibig: senior citizen’s ID at barangay certificate with webcam photo printed into the certificate or Philhealth ID card. Mag aaply po sana ako ng provident fund, retired npo ako last Oct 17 2015, but all my valid id’s was lost, pano po kaya dapat kung gawin??? Hi John Francis, the liaison officer was correct. Talk to Pag-ibig. Kung minsan naman, napapakiusapan sila, kasi reissue naman ang request. Thank you nora, well about the SPA will they still accept it as a proof even if it’s expired? As of now, the liason officer of my mother’s office told me to go visit the branch and beg for them to release another check. Hi John Francis, usually a check is valid for only 6 months. But there are those that are valid only for 3 months, like an SSS educational check. Maybe a Pag-ibig has a short validity too. Your SPA also has a validity limit, usually 1 year. I suggest you go to your mother’s Pag-ibig branch and use your IDs and SPA plus any claim acknowledgment stub given to you to request for a replacement or re-issuance of your mother’s check. Hi michael, sorry puede na sana, kasi more than 45 years old ka na, kaya lang 240 contributions ang required pag gusto mong kunin before age 60. There are 2 requirements: at least 45 years old and 240 contributions. Mag-isip ka na lang ng puedeng pagkakitaan dito sa atin, and claim your Pag-ibig at age 60. Seaman po ako ask ko lang kong pwede akong mag claim 190contributions pa lang ako,nagsimula ako 1996.since 2015 until now hindi na ako nakasakay ng barko nag try akong mag apply sa ibang agency hindi na ako matanggap sa posisyon ko kasi as bosun not more than 45 yrs.old lang ang kanilang tinatanggap.Im 56 yrs.old now.Thanks. Hi Nora, My mom filed her early retirement last year and goes back to the US to live there. She left me in-charge of all her claimants including pag-ibig. She also granted me a notarized SPA. But due to my busy schedule I have difficulty on updating about my mother’s claim. I tried communicating with my mom’s company laison officer and he told me that the check was released last year and pag-ibig told him now that it was cancelled. Is there a way to still claim my mother’s check if it was released last year? How many months does a check’s validity when it was released? Thanks. Hi ask ko lang po kung pwede mag claim under ng Membership Term Maturity (20 years or 240 contributions) yung father ko, turning 57 years old napo siya and wala ng work as of now. Mahigit 20 years naman na po ang contributions niya. 2011 pa yung huli niyang hulog kasi dun na siya nawalan ng work. Thanks for the helpful info in this blog. I hope you can also post a sample format of a Certificate for Early Retirement. The last employer doesn’t seem to know the contents to put into such Certificate. Hi Reynaldo, did you return to the same company in 1999? Did your new company in 1999 remit contributions to the same Pag-ibig branch? Because your 1999-2012 contributions could have been remitted to another Pag-ibig branch. Pag-ibig’s records are not yet centralized, unlike SSS. The records that you have, showing your 30k+ contributions — are those from Pag-ibig or from your company? Bring these docs, your IDs and your recent retirement check voucher to the branch that gave you the 5k+ check and ask why you got only 5k+. Or you can call your 1999-2012 company to ask them at which branch did they remit contributions during those years, and then file another claim there. Another thing is I assumed you never got a short-term loan from Pag-ibig after 1999 because if you did, then the loan plus penalties and interests must have been deducted. I applied of early retirement on year 1999 at Philippine Associated Smelting and Refining Corp.so I refunded all my contributions and TAV. Then I started work again on 1999 up to 2012. Based on my records my total contributions was amounting to Thirty Thousands Seven Hundred Twelve Pesos (P30,712.00). When i applied again for refund at the age of 60 yrs. old. When I got my retirement claim check I received only Five Thousands Eight Hundred Eight and 2/100 pesos only.Iam now 65 yrs. old this coming Sept. 30,2015. What will I do and where to go to complain. Thanks. Hi allan jose, yes, you can claim your Provident benefits using this reason: Membership Term Maturity (at least 20 years of contributing and at least 240 contributions). If your loan has already been delinquent, it most likely was already offset with your savings. If not yet, your loan balance will be deducted from your total maturity amount. You can continue to contribute after you have claimed your maturity value, as you are still working. Hi Ma. Teresita, if your records are in only one Pag-ibig branch (only one employer, or employers making submissions to the same branch) it will take about 3 weeks. They need more time if your records are spread out in two or several branches. Hi victoria, did you work for only one company in the Phils? One thing that can delay processing is if your records are spread in two or more Pag-ibig branches. You might not be able to get your money within 2 weeks even if your records are in one branch, but you can ask Pag-ibig. You can file immediately upon arriving, then issue a SPA to your representative to claim the check, and make sure that you have an active Philippine-based account so your rep can deposit the check to your account. It’s also good to open an account with a Bancnet-member bank so you can use it to pay your SSS online, if you like. With any bank, if you decide so, enroll in online banking here because activation is through atm here. Hi jeffrey, yes, your father can file his claim at the Pag-ibig branch nearest the location of PICOP, or at the branch where PICOP filed their Pag-ibig submissions. Docs: Application for Provident Benefit form and 2 valid IDs and NSO Birth certificate if the IDs do not show his date of birth. Hi Ciel, Pag-ibig needs at least 2 valid IDs. If the IDs do not show his date of birth, mag-submit ng NSO birth cert. Dapat yong name sa IDs ay the same with his Pag-ibig name. Pag walang IDs na the same with Pag-ibig name, present his NSO birth cert (kung ito yong pareho) and his Pag-ibig card. Kung wala, visit Pag-ibig and ask if they accept notarized joint affidavit na your father ____ (nickname) is the same person as ____ (name sa Pag-ibig). My father worked for 35 years , and he uses his nickname but while we were processing his SSS retirement benefit we already change it to his real name . How can we claimed his Pag Ibig fund savings retirement ? hello po, I am inquiring in behalf of my father, I just like to ask if my father can still claim for retirement/pag ibig benefits? since he’s already 60 last may 15. he was 27 years in service in PICOP Company at Bislig City Surigao del Sur before it stopped operating. Hi salvacion, hindi pa kasi centralized ang records ng Pag-ibig, so I’m not sure if the Palawan branch has access to claims processing results in Manila. But if they like to help, puede silang tumawag for you. Another option is to call the Pag-ibig hotline 724-4244. Puede ring call the Makati member services trunk line: 812-4731 then magpa-connect ka sa Provident claim processing. hi!miss nora nag apply ako ng retirement claim noong june 14.ok naman un mga requirement ko at ang sabi ni yolly 3wks daw ang processing bago ma release.tanong ko kung pwede ko ng kunin un retirement claim ko.mahigit na 1month.ty. My husband is Mr. Edgardo Arcega Cantos who suffered for stroke. I’m already filed disability application last May 2016 here in Batangas Branch but until now no response at all. I made it to follow always but they always said that no response from Makati. Almost 3 months already. How long will it take to process like this. Thanks very much and hoping for the early response for this. Hi Ronald, you can email Pag-ibig contactus@pagibigfund.gov.ph and ask if your mother has claimed her Provident benefits when she retired. Include your mother’s full name and date of birth and employment info. Attach a photo or scan of your IDs, birth cert (proof of relation to your mother) and your mother’s death cert. You can also visit your mother’s Pag-ibig branch with these docs if you want an immediate answer. Hello, my mother passed away last January 2010. we would just like to confirm if she already claimed her savings before she passed. She used to work in BPI for 27 years and availed their early retirement offer but we are not sure if she claimed her Pagibig savings. How can we verify this information and what would I need to provide for you guys to disclose this information out? Thanks in advance. Hi Maria Victoria, was there no question about your early retirement certificate? If your daughter claims the check, she needs a notarized SPA (use the Pag-ibig form), 2 valid IDs (yours) and 2 valid IDs (hers). If documents need not be verified, processing usually takes a month. I have filed my early retirement claims last mid of may 2016… Im in cebu right now, ive designated my daugther to claim it. Now we are both having a difficult time following up if the the check is available. Please help. I cant access my pagibig membership pfofile. I want to know my total contributions. I want to continue it. Hi Luz Barbara, you can email tacloban@pagibigfund.gov.ph. You can also call the Pag-ibig hotline 724-4244 and ask how to follow up your claim filed in Tacloban as you live here in Metro Manila. My husband died last year and I have filed for benefit claims. I submitted all the needed documents in Tacloban because my husband’s office was based in Catarman, Northern Samar. I do not know now what is the status of my claims. Can I follow up status of my claims in any Pag-ibig branch? You see, we reside in Cainta making it impossible for me to go to Samar to do follow-up. Thanks. Good Day, Mrs Nora. May I ask if am qualified to file a disability claim. I was diagnosed to have kidney failure and undergoing hemodialysis twice a week. I am not working for a very long time, but I believed I contributed more or less 10 yrs in PAGIBIG fund when I was still working. I am now 49yo. Hi patir, usually 3 weeks to 1 month. Major reason for delay: when a member’s contributions were remitted to two or more Pag-ibig branches and need to be consolidated (this happens when a member had different employers in different regions). Ms. Nora, normally, considering all supporting documents have been checked and in order by receiving branch, supporting an application for a retirement claim, how many working days to process claim from submission of documents to check release? And what major instances would delay processing a claim? I’m a Pag-ibig member when i was working in Saint Vincent hospital in cebu. My Pag-ibig fund is not active. What can I do aside from housing? Can I use it as a pension fund if I continue paying pag ibig fund? I am still a working in us,can I file for my philippine sss retirement benefit since I am already 61 years old. Hi catherine, did your father get a Pag-ibig housing loan? I thought of it because you said they need a certificate from the Shaw-near-Kalentong branch. In which Pag-ibig branch is miss neva? You can email miss neva c/o the Pag-ibig branch’s email address. hi miss neva i need an answerto my father retiredment. its been a long time that i filed it in pag-ibig imus last september 03 2015 up to know you didnt answer it you always told me you need a copy of certificate coming from kalentong its taken a long time. but if paG IBIG DEDUCT A CONTRIBUTION US SOON AS POSSIBLE WE DEDUCT. What kind of work are you providing? pls i need a feedback as soon us possible. your processing takes a very long time. Hi gelyn, sorry but you’re not allowed to apply for a lump sum. A partial withdrawal is allowed on the 10th year (between 10th year and 11th year), and on the 15th year, but there should be no gap in payments, or there should not be a missed payment, not even one month. What you can do is to apply for a loan as voluntary member. Show proof that you have another source of income. You can ask for a certification from your barangay that you are earning from your buy-and-sell business or sari-sari store, etc. Hi po almost 11 years I’ve been working and paying pag ibig. We were forced to resign. Can I apply for lumpsum even if I have laps? I was from m.l previously? Hi Rose, yes, you can also visit the Makati branch. Bring your ID, your father’s ID and authorization. You can download this Pag-ibig form Transfer of Member’s Records and print it and have your father sign it, so you can file it at the Makati branch if he has records there. Many companies started paying Pag-ibig only in 1981, when it became mandatory, and many stopped paying when Aquino made Pag-ibig optional from 1987 to 1994. Thank you Ms Nora. I have another question Maam, my dad worked for his company since 1975, but when i called pag ibig his contributions only started in 1995 until his retirement, could there be an error? He only worked for one company. During the 1980s the company was in makati and around 1987 it was relocated in Ortigas. Should i also visit the makati branch to check my father’s contribution beyond the year 1995? Or should i just inform pagibig once i visit their branch in ortigas and they can verify it for me? Hi Rose, it should be your mother. She’s the primary claimant. Hi julita, the first thing to do is this: register and get your Pag-ibig MID no.. Pag-ibig will text you a transaction no. and later, they’ll text you your Pag-ibig MID no. Then go to the nearest Pag-ibig branch with your ID, MID no. and proof of your source of income (receipt or direct marketing ID or business permit or trade association document) and make your first payment there. Later on, you can make your next payments at Bayad Center/SM Business Center. Hi Art, I have to add something about SSS and GSIS: I said the primary beneficiary is the legal spouse (if the children are over 21) — I should have said legal and dependent spouse. Hi Art, sorry but that’s really Pag-ibig’s policy. Based on comments on our blogs about similar Pag-ibig claims, it’s the surviving spouse who is the primary claimant. Recently, a legal wife (second wife after the death of the first wife), estranged from her stepchildren and even from her husband before he died, was able to claim her husband’s Pag-ibig benefits alone. Although the Pag-ibig law did not clearly defined beneficiaries as clearly as the SSS and GSIS laws. SSS and GSIS clearly defined primary beneficiaries — their policy: the legal spouse is the sole claimant if the children are above 21. In the IRR of Pag-ibig Law of 2009, it says that beneficiaries are the heirs as defined by the Civil Code of the Philippines. The Civil Code says that the compulsory heirs of a married person with children are the legal spouse and children, but the spouse gets most of the inheritance (50% of the inheritance plus an equal share in the other 50%). Check this out with your lawyer-friend as I could be wrong. About the Pag-ibig SPA: it’s a SPA empowering a person to file the claim in behalf of the claimant because the claimant is not able to personally file the claim. But the claimant is still the claimant. The cheque will still be in the name of the claimant. One option: You can claim in behalf of your father, your father gets the cheque, and then your father shares the money with you and your siblings. Another option is your father signs the Pag-ibig Waiver of Rights form, giving all his Pag-ibig benefits to you, his children. Namatay po ang nanay ko recently and we are now in the process of completing the requirements for benefits claim under pagibig. Napagusapan na namin a week after mamatay ang nanay ko na na ako na ang magffile and claim ng mga benefits nya (GSIS, Pag-ibig, etc), so nag secure kami ng SPA notarized by an attorney na ako na ang magiging representative for filing and claiming. Nagpunta ako sa GSIS Kamuning branch kanina to get forms and requirements required. Binigyan ako ng form na dapat daw si papa ang pipirma as claimant, then check list saka ung affidavit of undertaking na dapat daw ang tatay ko ang pipirma as affiant. may affidavit of waiving of rights din na binigay sakin na iwawaive ang rights naming magkakapatid (lahit kami ay of legal age) para sa benefit and kay papa lahat mapupunta ang claims (cheke). Sabi ko, napagusapan na namin na maghahati hati kami sa mga benefits under pagibig so hindi na ako binigyan ng affidavit form for waiving of rights, sinabi din ng officer na 4 kami magkakaron ng cheke kapag naging ok na ung benefits. so nagpunta ako sa kakilala kong attorney to notarized the said document (affidavit of undertaking), pero sabi ng attorney, mali na si papa lang ang pipirma dahil rightful heir din kaming 3 magkakapatid. dapat daw 4 kami pipirma dun. sa affidavit of undertaking na binigay samin, iisang tao lang ang affiant o pipirma. tumawag ako sa hotline ng pagibig knina to ask, sabi ng nakausap ko ok lang daw na 4 kami pipirma dun sa affidavit of undertaking. so sinecure ko na ung affidavit na 4 kami na pipirma. pagdating sa affidavit ng surviving heirs (nadownload ko ung form sa pagibig site), ako ang nakapirma sa claimant with signature ng tatay ko under spouse. nung chineck ng officer, dapat daw si papa ang nakalagay at nakapirma under claimant at hindi ako. eh, nakalagay under entry number 6, “in what capacity, or by what title, do you claim the HDMF (Pagibig Benefits) of the deceased”, ang nilagay ko ay SPA. so tumawag ulit ako sa pagibig hotline, ang advise sakin eh ruling daw ng pagibig, tatay daw ang magcclaim at hindi ang anak. 8. Where to file for provident benefits claim and what are the basic requirements? nirerequire under Annex 5 na ang magffile ng claim ay magpprovide ng requirements to establish kinship. hindi nakasaad na tatay lang ang pwedeng magclaim, hindi rin nakasaad na hindi pwede ang anak na magclaim kahit na buhay pa ang tatay. ang hindi ko maintindihan eh legal heir din ako katulad ng tatay ko at 2 kong kapatid. may SPA ako na pinagagreehan naming lahat na ako ang magffile and claim. pero bakit may sariling patakaran ang pagibig na taliwas sa FAQ nila posted in their website?? anu po ang mai–advise ninyo. Hi nora, I just want to ask. My father retired at the age of 62 last August, 2015. What would he do to claim his contribution? thank you. Hi Rebecca, yes, you can visit his Pag-ibig branch and ask. Bring your ID, your father’s death cert and your birth cert (to prove relationship). You can also call the Pag-ibig hotline: 724-4244 Be ready with your father’s info like birth date, date of death, company name, years of employment. Hi zeny, I also read DOLE’s retirement pay rule, and why 15 days was turned to 22.5 days. 5 of this 22.5 is Service Incentive Leave (SIL). Read this http://www.laborlaw.usc-law.org/2010/02/27/service-incentive-leave/ and you’ll see that if your retired employee enjoyed at least 5 paid vacation leaves per year, you can remove 5 days from the 22.5 total. I’ll try to find that one which says that Pag-ibig retirement can be used as substitute. Will get back to you later. Hi! How many months does it long pag nagfile kme ng death claim para sa father ko. Thanks! Good day po. I filed a death claim for my husband on November 4,2015. How long after can I claim the check? Thank you po and god bless. Hi Nora, I have staggered contributions since 2010 totaling over 5 thousand pesos. Am i entitled for a housing loan at this point? I am an OFW. Hi Richard, do you mean that her spouse filed his claim just before he died, and that the claim was not yet processed and was not yet claimed by the spouse? If not yet claimed by her spouse, she’s the primary beneficiary. But she is required to write the names of her spouse’s parents on the Proof of Surviving Legal Heirs form. Other requirements: Application for Provident Claim form, 2 valid photo IDs, NSO marriage certificate and NSO death certificate. Hi Josephine, yes, you will have something to get from Pag-ibig. Your salary loan amount was about 80% of your total savings last March 2014, so you have about 20% left. What Pag-ibig does is to deduct your total loan from your total savings/dividends, if your loan is left unpaid. The same with SSS, if you have an outstanding salary loan when you retire, SSS will deduct your loan monthly from your monthly pensions, until your loan is fully paid off. You’ll start getting your pension only after your loan is paid off. I have more than 240 contributions. I’m already 59 this October of 2015 and plans to retire by 2016 to get myself involved in charity works. I have a loan at Pagibig which I had received last March, 2014 of P20,140.00.I have not paid anything yet, because my salary is not enough to pay those bills that I need to pay. I also have one from SSS. Can I still get my retirement benefits even if I did not pay any single amount to my loan? Thank you for reply. Hi julie, yes, you can pay your MP2 at any Bayad Center. Don’t check member type, but if the Bayad Center insists on you to check member type, check VM (as anyway, your MP2 payment is voluntary although you’re employed). Keep your receipts and keep a record of your savings for future reference. Hi, IM ALREADY ENROLLED IN MP2. THE THING IS, MY EMPLOYER IS NOT SETUP TO PAY MP2. CAN I PAY MY MP2 CONTRIBUTION AT ANY BAYAD CENTER? hi, WE already file disability claim for my father.how many days before we will receive it? Hi Hilario, file your claim in person at your Pag-ibig branch with 2 valid photo IDs, Application for Provident Benefits form and NSO birth certificate. If you worked in different cities or provinces, make sure your contributions have been consolidated in one branch before your file your claim. Hi Felisa, have you filed your Provident benefit claim at your Pag-ibig branch? After filing, processing takes 3 weeks to one month. Pag-ibig will give a stub with a phone no. for follow-up. Hi Arnel, try the hotline 724-4244. Hopefully, your claim will be available this week or next week. I want to know the status of my retirement claim which was filed on July 22, 2015. I’m trying to reach the number given to me 812 4731 local 402 but no one is answering my call. Hi Carmela, you have your own residential title, and you’re a Pag-ibig member, so yes you can apply for a Pag-ibig home improvement loan. Your only problem is you need to show proof of your source of income. Do you have a bank account where there’s a 2-year or longer record of regular deposits? Other requirements will be building plans signed by an engineer, bill of materials and labor costs, and building permit and SPA for your Philippine representative. These are my unsolicited thoughts though: I feel uneasy about the thought of pawning your fully-paid house to repair it, especially that you’re not here to supervise the repair, and there’s the risk that you can lose your house to foreclosure if you’re unable to pay off your loan. Maybe it’s wiser to save money, then have the repair when you accumulate a bigger amount. Saving will also test your ability to receive a bigger amount of money and set it aside regularly. I’ve been paying regularly. I want to have my house in Bulacan repaired or have home improvement. Already totally paid. Has title. What should I do? I don’t have work. I’m a housewife. I’m here abroad, plain housewife. Is there a chance I can reconstruct my house in pilipinas since i am paying my regular contribution? Hi Leslie Ann, you said your father has already claimed his money from Pag-ibig when he retired, so he has no more money to claim from Pag-ibig. I think Balik Savings65 is just a pakulo to make processing faster for those 65 and older who have not claimed their money from Pag-ibig. hello, I claimed my retirement benefit last april 2015, iloilo pagibig branch. Your processing was so fast my check arrived this june. The thing is my total contributions from 1981-1996 in my former company plus my 18 yrs abroad contribution i compute it to be more 20 thousand in total. My question why i received only 18,787.77 for my retirement without any dividends and even less that my total contributions. Hi JR, POP has been changed to MP2 or Modified Pag-ibig Program and is now offered to both OFWs and non-OFWs. There’s also the original savings program Pag-ibig 1. When you turn 60, you get your P1 total savings plus dividends in one lump sum (in a single check), not pension. It’s SSS that gives pension. You can also claim your P1 at age 45 or older if you have accumulated 240 monthly savings. For MP2, you can withdraw your savings after 5 years, or if you like, on the 5th year, you renew your account for another 5 years. If not yet a P1 member, get your Pag-ibig MID no. and then start paying. For MP2, apply for your MP2 account no. then start paying. Hi shirly, that program is for members aged 65 who have not claimed their benefits or who have continued to contribute to Pag-ibig after claiming. If your father continued to contribute to Pag-ibig after getting his disability benefit, then he can claim his savings. You can call Pag-ibig 724-4244 and ask if your father has still benefits to claim. Be ready with your father’s personal and Pag-ibig information. Hi pOh. my father has been working for 5 yrs in a new company. Can he get something because he just retired. thanks. Hi Redentor, I’m surprised they didn’t accept your loan balance payment as you said it’s been only a year that you did not pay. The loan term is 24 months, right? If Pag-ibig gave you that advice, they should have also told you to use your money to increase your savings to offset what will be deducted from your savings. They’re partially correct in their advice, as Pag-ibig does not continue to charge interest and penalties for delinquent loans. What they do for unpaid loans after 24 months is to deduct money from the borrower’s savings to pay the member’s unpaid loan. It’s not like SSS, which continue to charge interests and penalties on unpaid loans, month after month to year after year, even to the point of wiping out pensions in many cases. I suggest that you pay off your loan balance, since you have the money, so your savings will remain intact, and will continue to increase. Another option is for you to follow their advice — not pay your loan balance, but increase your monthly savings to 500 a month or 1000 a month or more, or register in Pag-ibig 2 and save. The advantage in saving with Pag-ibig 2 is you can get it after 5 years. Ms I would like to verify the status of my retirement benefits filled last February 25, 2015, at PAGIBIG Iloilo City. Thanks, and God Bless. Dear Ms., I’m now an OFW. I have a salary loan balance. I wanted to pay my balance; when I was about to pay my balance, someone in Pag-ibig told me that it’s okay if I don’t pay my loan balance as I’ve been a long-time member and have been paying until now. It’s been almost a year since I haven’t paid my salary loan. If I follow their advice, what will happen to my contributions? Do I have something to claim later on? What will be the problem if the balance remains unpaid? And what’s the benefit of paying my loan? Thank you very much. Hi melanie, Pag-ibig does not accept late payment of contributions from individual payors. You can pay months or a few years in advance to complete the required 240 contributions for early claims, but you still have to wait for those months or years to pass in real time before you can claim. I suggest you continue to save with Pag-ibig, as the interest rate is much higher than those offered by banks. About the 6k death benefit, you’re right that this is given only to beneficiaries of members who did not claim their benefits before passing away. Hi Nora, I transfered me to our prov’l branch last year. My mobthly contributios was stopped by our main office since then. I worked with this company for 25 years but I only have contibutions from year 2000 when it was mandatory (because our company only paid SSS), instead of 1987. Now I still have some gaps to fill to apply for a lump sum which requires a total 240 contributions. What can you suggest > fill and pay the gaps (7 yrs) to make it 240 or just wait until I reach 60? Will early retirement rsisks me being ineligible of the funeral P6000 claim right? Hi Marivic, it’s okay even if you have gaps. If you’re already 45 years old or older and have already accumulated 240 contributions, you can file your claim. What if there’s a gap in contributions? To make it 240, do we need to fill up the gaps to wait for the maturity? is the gap a hindrance or just wait to make it 240 contributions? I mean if we take maternity leave, there’s a gap in contributions. Once we cover the gaps and the total becomes 240 contributions, can we claim provident benefits? Hi ana, if your mother used the form Application for Provident Benefits Claim Form when she claim at retirement age, she might have already claimed all her money. But yes, there could have been errors, so you can visit your mother’s Pag-ibig branch with your mother’s ID and authorization letter and ask if your mother has money to claim. Can my mother who’s a retired teacher claim? She said she got a lump sum when she retired, but there are no dividends. We saw a a commercial on tv balik dividendo65. can she claim divideds? Thanks. Hi marie, yes, if you’re a Pag-ibig member, or if your school remitted your Pag-ibig contributions. You can claim your Pag-ibig savings if you’re 45 or older and you have accumulated 240 monthly contributions. If less than 240, you can claim at age 60 or older. gud day po! is there a benefit that a teacher for 20 yrs in service can get?tnx! Hi ghen, your mother can go to her Pagibig branch and file her claim. Documents: Provident Benefit claim form, 2 valid IDs, NSO birth certificate, GSIS retirement voucher. Her benefit amount is equal to her total savings plus dividends. Obtain a SPA if you will process your mother’s claim in her behalf. Hi ruby, I assume that your salary loan was already deducted from your total savings 2 years from your salary loan date. Pag-ibig’s policy is to offset unpaid salary loan and savings 2 years from loan release date. You can claim your remaining savings plus dividends as you have already migrated permanently. Hi Nora, I migrated in the US and now a citizen, when I left Pilipinas, I left a salary loan. Will affect of anything if i decided to withdraw my contribution? Hi Raymond, yes, he can claim even if he does not know his number, as long as he’s 60 years old or older, and he presents 2 valid IDs and the required documents. It’s not pension; it will be a lump sum amount. He makes a list of his companies and employment dates so he can check if all his contributions are included in the computation. If not yet 60, he needs to have accumulated at least 240 contributions so he can claim, or he retired under his company’s early retirement fund program. Hi Ms. Nora. my father wants to claim his pension after 16 years of work in his company but he didn’t remember his membership identification number. Is it possible to recover his record in pag-ibig by using his name only? Thanks. Hi Alfredo, just like you, I also thought years before that our Pag-ibig contributions will be matched not only by our employers, but also by government, as implied, whether unintentionally or not, when Pag-ibig was being launched. But years later when I checked the laws that established Pag-ibig, I read that it’s only the employer (Industry) that will match the employee (Ikaw) contribution. The role of government (Gobyerno) is to manage the funds mainly for housing, using the services of banks (B). When the time comes that you get your Pag-ibig savings, your TAV (Total Accumulated Savings) printout should show your list of contributions, employer contributions and annual dividends, and what you should get as Total Provident Benefit is equal to your Total Contributions plus Total Employer Contributions plus Total Dividends. If your TAV printout do not show your employer contributions and your annual dividends, then go to Pag-ibig and ask for explanation and correction. Please comment again to share your updates. I’m a retired Deped employee and was active in the service when PAGIBIG fund was established. What I know is that Pagibig means Pagtutulungan ng 4 na bahagi. I -kaw (employee), B-anko, I-ndustriya (employer, at G-obyerno. With this system, Ikaw as employee will pay as participant a monthly contribution that will be matched by your employer. We as teachers of DepEd, our contributions are to be matched by the banks that are managing our money that should also be matched by the government. Pagibig will manage the funds that will be used for housing or real estate and also for provident loans to members. This means Pagibig is earning from the money entrusted to them. Why then that after 240 contributions or 20 years, when the time comes for the member to get his money, that what he gets back is only the money he has saved? Where is the portion of the employer? the bank that earned from the funds and the government? Just asking. Hi noel, you can withdraw only after accumulating 240 contributions and you’re 45 years old or older, or if you have an immigrant visa, or retiring at age 60.
can i withdraw my contributions to pag ibig? Hi Joy, do you mean you’re no longer interested in this house and lot paid for by your housing loan? Are you willing to give back the property to Pag-ibig so your father can get his retirement benefit? Are you willing to lose all the money you paid for the house and lot? If yes, then you can ask Pag-ibig if instead of foreclosure (since this process takes time), you sign an agreement giving back the property to Pag-ibig so your father can be cleared of his housing loan and so he can get his Provident benefits. What should we do if a member has a delinquent housing loan? We had a housing loan that we have not paid because our father had a stroke. They said that for retirement benefit claim, foreclosure is needed. How is that? Hi mam nora! Thank so much po sa reply kailangan ko po talaga tulad nyo to guide me sa problema namin. Same situation din sa SSS kc member din mother ko 72 contributions na xa (SSS) aasikasuhin din po namin if pwd po xa makapagpension. Pati po Sa birth certificate de guzman po ginamit saming 2 magkapatid at Venus Caligagan nakarecord na mother. Masalimuot po mga papeles namin ;-( kaya kaya pakiguide po ako palagi mam. Update ko po kayo Lagi sa pagpaprocess sa pagibig and SSS. Thank you so much talaga! Hi Juve, your mother should be able to claim her savings because the money is hers. Her records have 3 discrepancies: her birth date, her name, and her surname (as she’s not married). Pag-ibig has this form: Joint Affidavit of Two Disinterested Persons, but this form resolves only the discrepancy in birth date. To fill up this form, use the name and birth date registered in Pag-ibig. 3. We declare, confirm and affirm that her surname De Guzman is the surname of her common-law-husband, ________ De Guzman, with whom she has one child ( ___ children). Make this second affidavit only if Nos 1. to 5. are true and correct. To be sure, before you have these notarized, you can go to Pag-ibig and ask if these affidavits are enough to resolve the discrepancies. Hi Ms Nora, my mother wants to claim her contributions. She’s 63 y/o but the problem is, Venus Caligagan De Guzman born June 21, 1952 registered name and birth as member but her nso birth certificate shows Maria Vinuz Fernandez Caligagan born July 12, 1952. Then she’s not married to my father all this time. What should she do? need your help ms. Thanks. Hi charliemagno, required claim forms: Provident claim form, Pag-ibig ID card and 1 valid photo ID (orig and xerox), copy of total accumulated savings (TAV) and NSO birth certificate. Yes, your uncle can request the Albay branch to file for him, but he needs his TAV copy which he can get only from the branch where his records are. Did he work in only one company? Your uncle can email or call the branch where his records are. Here’s a list of Metro Manila branches , or you can visit or call the Albay branch and ask if your uncle can file in the Pag-ibig Albay branch even if his records are in Metro Manila. hi nora may i ask. my uncle worked in manila for almost 9 years. He’s a member of pag ibig. He’s 60 years old. He has a pag-ibig id. How can he claim and what are the requirements? His previous company has already closed; it got burned. His pag-ibig id is old. hope you can help us. He’s here in albay. can he claim here, as manila is far, and he’ll get dizzy if he travels to manila to process his claim. thanks. sir mam. tanung ko rin po kung cno po ba ang pwede mkontact sa pag inquire ng retirement claim pra direct na lng po namin clang tawagan thanks po and god bless? gud am sir, mam puwede po bang malaman kung na i process na po ba ung retirement claim ni edito romero adorio father ko po. last july po kc cla nagprocess e sabi po sa knila mga 3 weeks po ung process. Hi. I am just going to ask about death claim. My father worked in a municipal government for almost 17 years, retired at the age of 60. So as a government employee, it means that he is a member of Pag Ibig Fund. And now that he passed away, do you think his beneficiary is qualified for death claim somehow? I appreciate very much your reply to this matter.. God Speed on you! Hi mlhon, Pag-ibig has no pension program. When you turn 60 or have accumulated 240 contributions and turned 45 or older, what you will get is your total accumulated values (TAV), which consists of your total savings plus total dividends. Yes, all your savings will be consolidated. Do you already have a Pag-ibig MID no.? OFWs can check their contributions at pagibigfund.gov.ph. When you get back, if you like, go to your Pag-ibig branch with your IDs and ask for a copy of your contributions. If you don’t find your overseas contributions there, go to the OFW office at the Gil Puyat Makati branch and ask for a copy of your contributions. Ask how you can consolidate your contributions in one branch, so it’s easier to claim later on. May I ask if we can get pension from Pag-ibig just like that from sss? I already paid contributions for 2 years until 2015. Can I claim those later on at maturity, as long as I continue contributing? I also paid contributions when I was employed in the Philippines and when I worked in Singapore — will these be included? Hi beth, what I know is that you can no longer claim, because she stopped being a member after she got her retirement benefit. Ask others too, to be sure. Hi, ask ko lang balak ko sana i-member yung isang lolo ko na 62, na pwede pa kaya?, worth it ba pa? Tnx! Hi dennis, yes, if you have accumulated 240 contributions. If less than 240, you must present to Pag-ibig a certificate from your former employer that you have availed of their early retirement program. nora..nag early retire akoat age 51 last june30 2014 makukuha k ba ung pag ibig k.
Hi allan, even if you pay in advance 3 years of contributions, you need to wait for the actual passage of 3 years, meaning you can get your savings only after 3 years (in 2017), and you must be 45 years old or more by then to get your savings. good pm po,kulang po ako ng 3 yrs bago makumpleto ang 20yrs sa pag ibig.kung bayaran ko po ba remaining bal.ko na 3yrs,ma aavail ko na early retirement claimko,,salamat po. Hi Ron, I can’t find a circular yet regarding that matter. You can use the Pag-ibig Law or RA 9679 which defines Mandatory and Voluntary Membership. Mandatory membership is for those aged 18 to 60. Pensioners are mentioned as examples of Voluntary members in the IRR of RA 9679. Tanong lang, meron bang circular na nagsasabing di na required ang mga retired employees na magcontribute ulit sa fund kung sakaling magkatrabaho ulit/employed ulit sa isang kompanya?ano ang pwede kong gamiting proof/circular/memo? Hi! Ask lang po. Ang housing loan po namin ay 14yrs po ang contract ng loan pero 8yrs and 2 months lang po paid off na po namin, last May 2014. Ang housing loan namin ay under po ng POP. Nag huhulg po kami monthly ng saving sa POP w/ passbook pero maraming gap. Means di po regular nahulugan. Ang tanong ko po ay May makukuha po ba kaming pera galing s housing loan namin, nagyon paid na off na to? Tama po ba ang pagkakaintindi ko na mayroon P600 monthly na nilalagay s savings nakasama sa monthly amortization namin.? Kung meron kelan po namin puedeng makuha? Pati po ang POP savings? Kami po mag asawa ay US base na. Isa na pong US citezen ang asawa ko na naka name s POP at 59yrs old pa lang po. Gud day po! Pag mag apply kami ng pag ibig, ano po makukuha namin pagdating panahon? GOOD MORNING. TANONG KO LANG PO KUNG ANONG MGA REQUIREMENTS SA PAGPA FILE NG RETIREMENT SA PAG IBIG FUND. AT KUNG MERON PO SANANG CELLPHONE NUMBER NA MADALING MATAWAGAN PARA ALAMIN UNG IBA PANG INFORMATION. THANK YOU.. PLS ANSWER. Gud pm nors, checkk lngpo kng my relis n ako chck s retirement k?thank you. Check klng po kng my relis n check n ako pra sretirement k ? Hi again Ms Nora. Actually its more of an inquiry than an FYI from my end 🙂 I thought you can give me supplemental information with regards to Pag Ibig’s policy as Im having a difficult corresponding with them. Anyway, do you know if the 240 monthly contributions leading to the maturity fund payout need to be without gap? Any contact number that I can reach Pag Ibig? Their hotline is not working. Worst case, I can just go to their ofc in makati. Where is this located btw? Hi Richard, thanks a lot for taking the time to give correct information. Will help me a lot and others too. It’s important to me that I’m giving correct info. I will use Pag-ibig’s reply to you as basis for future inquiries. Perhaps there are some allowances for OFWs — I paid for Jan to May 2014 on Feb 19, 2014 at the OFW floor in Makati for my OFW sis-in-law and they accepted it. Also, the Pag-ibig deduction for OFWs in their OEC is 100 pesos, so the minimum is 100 pesos. I will add some notes on OFWs and individual payors in future posts. Thanks again, Richard, and more power to your endeavors. Hi again Ms Nora. Pertaining to my earlier inquiries, I was told by a Pag Ibig representative that they accept retro payment. It contradicts a bit with your suggestion to Ms Virginia that she can start paying her past dues at least for the April to June quarter? Will this (retro quarterly payment) also apply to me given I missed April and May na? I was advised kasi that I can only pay starting June. I reside in the Philippines by the way. ” Hi Sir Richard, Good day to you! You may continue paying your contributions as individual payor. The minimum monthly contribution is P200. You may opt to contribute a higher amount as this would mean a higher amount of savings upon membership maturity. The initial payment of contribution will be upon membership registration, while succeeding monthly contributions may be done at any Pag-IBIG fund branch. Self-employed or voluntary members must remit their contributions on or before the 10th of the month. They may also opt to pay their contributions on a quarterly basis, provided that such remittances are made on or before the 10th day of the beginning month of the quarter. We don’t have retroactive payment of contributions. Unpaid monthly contributions are considered as gaps. You may pay your contribution for the month of June onwards. Hi Ms. Nora. Im interested in the maturity claim upon completion of 240 monthly contributuons. Im 40 years old. I’ve been a Pag-ibig paying member since 1997. So in fact, me & my company has been paying continuously for the past 17 yrs. Roughly around 200 monthly contributions were remitted already. But Ive missed my April and May contribution due to separation from work. You mentioned here that early partial claims on the 10th year should be gapless. Same also with the 20 years / 240 monthly contributions ? If so, what can I still get out of the maturity claims? Im jobless now, will probably get another job later this year. Do u suggest that I continue paying my monthly dues? Or wait for my next job? Are there disadvantages of prolonged missed monthly dues / dormant members? Hi Virginia, you can no longer pay for past years. You can start paying again. Start this Apr to June quarter. Yes, you can increase your contributions. Minimum for Pag-ibig 1 is 100 pesos and minimum for MP2 is 500 pesos. Do you have your Pag-ibig MID? This is how to get your Pag-ibig MID no.. You can also save with MP2 so you can get your savings after 5 years. Hi po,gusto ko po sanang malaman kung pwede ko pang ipagpatuloy yung hulog ko from 2011?the whole year po ng 2011 nkapaghulog ako at nung 2012 till now hindi na po.pwede ko po bang blikan at hulugan ang 2012 till now at baguhin ang contribution ko?thanks. My father is now in Maryland. Landbank suggest that we may deposit the check, but then right now i just found out that my father cancelled all His bank account. No, the SPA is not specific to Landbank. it was intended to be in general for any other uses, if just in case needed. the story goes like this, month b4 my father turn 60y/o he for lump sum. but even b4 he turned 60 he go to US with my two younger brother since he has special immigrant status from the US embassy. now a week ago we already got the check from landbank. our problem is that the bank wont allow as to get money even if we had special power of attorney. my question is what is the best way to do so we can get the money ASAP. pls Help us. Hi Jocelyn, I admire you for starting to be so responsible and resourceful at a young age. For SSS, surely you’ll get a pension because your no. of contributions is more than 120. But if you’re still working at age 60, you can’t get your pension yet. If you file your pension claim at age 60, SSS will require you to also submit a cert of separation from employment. But starting at age 65, you can have your pension whether you’re working or not. For Pag-ibig, what you get is not pension but a lump sum of your total savings plus dividends. I see 3 possible options for you: Membership term maturity (You can get your Pag-ibig savings after accumulating 20 years of contributions or 240 contributions, whether you’re working or not) or Early Retirement at age 45 (if your company has an early retirement program) or Retirement (age 60, whether working or not). If you like, you can also save with Modified Pag-ibig 2 (MP2) and get back your savings plus dividends after 5 years. Ask ko lang po.I started working at the age 17. I am now 41. My SSS contributions are now a total of 210. I have not asked from Pag Ibig pero I have made 2 loans na po and so far updated din naman when it comes to consolidation from all my past employers. So pag 45 na ako, puede na ako magfile ng retirement? Ano yung separate from employer? Kelangan resigned na ako sa company when I file for retirement?Nag aalala ako kasi I am still working, baka pag 60 na ako dami ko na contribution tapos hindi din ganun ka beneficial sa akin. Pa explain naman po thanks. Hi Grace, sori hindi pa puede. Ang earliest partial withdrawal ay sa 10th year (pero dapat continuous; walang missed payment). Puede kang mag-loan, pero kung matagal ka nang resigned/unemployed, baka hanapan ka ng certification of source of income. hello po! mam tanong ko lang po kung pwede po akong magwithdraw kc naka 5 years po ako sa work ko before po ako magresign and complete po ang contri ko. thanks po. Hi thyrene, wait until he turns 60. But you can start preparing your documents now. thank you.. pwede na po bang asikasuhin na namin sa pag ibig ngayon, or kailangan pa rin po namin na mag 60 sya bago kami mag process. gud morning po, ask ko lang if may makukuha po akong benefits, resigned na po kasi ko as a teacher because of health problem, and my service is 14 years and 3 months. meron po ba akong benefits na makukuha?thank you. good morning po. sa August 7 po mag 60 na po ang father ko, entitled na po sya for retirement claim, pwede na po bang mag process ng mga papers nya for retirement claim at pwede po ba na kami mga anak nya na lang mag ayos ng documents nya kasi di na nya kaya mag byahe. thank you. Hi Cristino, you can email Office of the Manager – Pag-ibig Cubao at cubao@pagibigfund.gov.ph and ask about your Provident benefit claim if it was sent through the postal mail already. Or you can go to your local post office and ask if they have your registered mail from Pag-ibig. The check is dated Feb 14 but it might have been sent to the post office a week or weeks later, and then the post office also takes some time to deliver registered mail. office that Pag ibig cubao had already issued check to my benefit claim with check no.54526 dtd February 14, 2014 and until now I have not received the said benefit claim check. More than one month had been lapsed from the issuance of myn benefit claim check and why is it that until now hindi pa ito natang gap ko. Iyon ba ka bagal ang pag process ninyo. As a member of pag ibig I am very much disappointe3d. Hope for your immediate action. Hi Rosalinda, file your claim at the branch where your contributions were remitted. Pag-ibig’s records are not yet centralized. Hi Amelia, depende sa location ng records mo ang processing. 2 months or more siguro. Kung nasa isang branch lang lahat ng contributions mo, mas madali nilang ma-process. Can I proceed filing my Application for Provident Benefits (APB) Claim Form? If so, can I file it to your branch in Pasay City? i have already filed two weeks ago, send to calapan oriental mindoro just waiting for the approval of my claim.how long will i wait? thanks! Hi Amelia, if you’re 60 years old or older, you’re already eligible to file your claim. Am a retired teacher, may i know when i will receive my retirement claim? Hi Rogelio, yes, your loan balance is automatically deducted from your total savings. Based on comments here, processing may take 2 months or more. How long is the release of claims on the maturity benefits if I have existing loan will paag-ibig automatically deducts all the loans? You mentioned in your other comment about one child that you and your wife “adopted” — Is your child not living with you? namatay po ang asawa ko..we are legally married but we have no children.her parents were already dead..can i claim my wifes pagibig contribution.20 years po syang nakapaghulog sa pag ibig. Hi Mary ann, sori hindi ka pa puedeng mag-claim kasi wala ka pang 60 years old. Puedeng mag-claim at age 45 or older kapag meron kang 240 contributions. Merong optional partial withdrawal sa 10th year, pero allowed lang ito kapag wala kang ni isang gap in contributions, at allowed lang ang claim filing doon sa 10th year, which is lagpas na. Hi Rachel, puede lang ang optional withdrawal kung continuous ang contributions at tinatanggap lang ito exactly on the 10th and 15 year. About your loan, I hope na in-offset na lang nila yong loan at total savings/dividends mo years ago, meaning ginamit nila yong savings mo to pay off your loan balance, para hindi nagka-interest/penalty pa. Ginagawa nila ito if they find out you got unemployed. What you can do is to register at pagibigfund.gov.ph to get your Pag-ibig MID no. and then email publicaffairs@pagibigfund.gov.ph and ask them about your total accumulated values and salary loan eligibility. Tell them you’re abroad. Hi Grace, based on your notes, ang alam ko hindi ka pa puedeng mag-claim. Kasi sabi mo nga walang early retirement program ang former company mo. Ang remedy lang for earlier claim filing is for you to contribute at least 53 contributions more (240 – 187 = 53) so you can accumulate 240 contributions by age 50, so you can claim probably by 2018 or 2019. The other valid reasons for earlier claim filing kasi ay hindi naman true sa iyong case. Your other option is to continue contributing, then after 6 months, file a salary loan (up to 80% of your total savings/dividends). The challenge here is that Pag-ibig requires Voluntary members proof of stable source of income for loan application. If you do take out a loan, strive to pay your loan on time so interest/penalties will not wipe out the 20%). 45 years old na ako last Dec 2013 at may 187 no. of contributions. Nagtrabaho ako sa isang company from 1996 hanggang mapasama ako sa na-redundant noong 2011. Noong time na iyon din ang last contributions ko sa Pagibig. Nag inquire ako sa Pag-ibig last Jan 3, 2014. Tinanong ko kung pwede kong ma avail ang early retirement. Pwede naman daw. Binigyan ako ng Borrower’s Account Information, Employee statement of accumulated value at Application for Provident Benefits (APB) Claim form. Then ipinaliwanag sa akin ng nasa counter ang mga kailangan. Of all those requirements isa ang duda ako na ma accomplish ko. Ito yung Notarized Certificate of Early Retirement (For Private Employees, At least 45 years old). Ito ay dahil alam ko na walang early retirement ang company na pinanggalingan ko. Sinabi ko rin agad ito sa kanya, pero sabi niya sa akin kailangan ito. So umalis ako at nagbakasakali na mabigyan sa dating company ko. So tulad ng inaasahan ko hindi nila ako nabigyan sa kadahilanang wala nga silang early retirement plan. So until this writing hindi ko pa alam kung babalik ba ako sa Pag-ibig office para sabihin ang resulta, which in the first place nasabi ko na sa kanila na duda akong makakakuha at baka magpabalik balik lang ako. Ano kaya ang next step na dapat kong gawin? Hi allene, meron kang makukuha sa Pag-ibig kung meron kang contributions sa Pag-ibig, at walang kinalaman sa kung meron kang SSS o wala. Hi.. ask ko lang po, after my retirement, may makukuha ba ko sa pag ibig kahit na di ako naghuhulog sa sss? Thank you..
Hi Narcisa, sorry, walang disability or sickness benefit ang Pag-ibig kasi savings and housing agency siya, hindi kagaya ng SSS. Kung merong Physician’s Certificate/Statement With clinical or medical abstract na permanent total disability, puede nang kunin ang Pag-ibig savings plus dividends. Pero based sa mga na-observe ko, makakarecover pa siya, so baka hindi yan considered na permanent total disability. Sa SSS, puede kayong mag-file for sickness and disability benefits. Hi nica, puede na niyang ma-claim ang kanyang savings and dividends from Pag-ibig, sa branch where his employer remitted his contributions. yung father ko po 63 na, 9 years and 3 months po xa nagtrabaho.. ano po ang pwede nia mkuha sa pag ibig? Hi erlinda, I think so, yes, pero siempre I cannot assure you since I’m not from Pag-ibig. They will still evaluate your early retirement certificate. If you have accumulated 240 contributions or more, I think you can claim your benefit even if you don’t present your early retirement. You can visit your branch with your ID and Pag-ibig MID and verify your contributions and ask. Hi Jeca, ang optional withdrawal ay sa 10th year o 15th year lang, at dapat walang kahit isang month na laktaw sa contribution. at kung lumampas na itong 2 years na ito, wala nang optional withdrawal, antayin na ang retirement age of 60 or kapag meron nang 240 contributions after age 45.
gud pm po.january 2013 nag early retirement po aku mahigit 10 years na aku member makukuha ko ba ang early benifits ko. Hi steve, there should be a record even if your tav was used to pay your loan. And I think the unpaid loan will not wipe out the tav because Pag-ibig uses set-off if the loan gets unpaid within 2 years. Are you sure you went to the right branch? Hi Lilian, sorry local members cannot yet check their contributions online; as of this time, only OFWs can check theirs. About retirement money: If you have a company-funded retirement benefit, and this was included in the contract signed, then this should be a separate benefit, and Pag-ibig is just an additional fund. If you don’t have a company retirement program, then the company is mandated by law to apply the Labor Code retirement computation, and this is separate from the Pag-ibig retirement benefit – Pag-ibig savings-plus-dividends should not be used to pay the mandated retirement benefit. Besides, the Pag-ibig benefit is claimed directly by the employee from Pag-ibig and not through the employer. The employer can help though in the documentation process. Please ask others too. Hi Lynn, meron ka na sigurong 240 contributions in 2005 kaya nakuha mo ang Provident benefits mo in 2005 kahit di ka pa 60 years old? Kung nakuha mo na lahat ang savings mo plus dividends in 2005, wala ka nang retirement benefits when you turn 60. Hi Lynn, kung nakuha mo na lahat ng savings plus dividends mo when you retired, wala ka nang makukuha pa at age 60. Application for Provident Benefits ba ang form na pinirmahan mo noon? If yes, malamang na nakuha mo na lahat. Para sure, you can verify at your Pag-ibig branch. Hi Nors, nung 2005 nag avail ako ng redundancy and nakakuha ako ng maturity benefits sa Pag ibig, sa Jan.2014 60 yrs old na ako, may makukuha pa rin ba ako na retirement benefits sa Pag ibig? H Norsi! Nung ng retire ako nakakakuha na ako ng maturity sa pag-ibig. Ask ko lng Kapag ba nag60 years old na ako meron pa rin ako makukuha sa pag-Ibig? Thanks! hi po mam nors,ask q lng po kng pwdng mclaim ng father q ang pag-ibig benefits nya kht hnd xa mkpgpasa ng birthcert nya? 68yrs old npo xa at my sakit ndin, pro my mga valid i.d nman po xa na pwd ipresent..12yrs dn po xa naghulog sa pag-ibig. hi, my father retired at age of 57.. now he’s 63 years old. mkaka-claim pa po ba sya ng pension ngayon kahit matagal na syang nagretired? thank you. Hi Nora, ito ang Pag-ibig Provident claim form for the Pag-ibig 1 program (yong mandatory). Tingnan mo yong column na R sa baba ng form — yan ang requirements for retirement. If you contributed to MP2 or POP program, go to Pag-ibig branch along Buendia in Makati, near RCBC Plaza. I just turn 60 years old last January and I want to claim my contributions while I worked abroad. What are the necessary requirements to produce? my mom is a retired teacher. she already had her retirement check from g.s.i.s. ask ko lang po if may claim pa rin ba sya sa pag-ibig. if yes, anu ano po ang requirements? can i do the transactions on her behalf? if so, do i need to have a p.o.a.? thanks! Hi Wilma, sori, pero palagay ko, hindi ka na puedeng mag-optional withdrawal kasi dumaan na yong 10th and 11th year mo. Yong 15th year dumaan na rin, at yon nga, sabi mo, wala ka nang hulog. Pero siempre, ask others too. Hi Wilma, siguro ang tinutukoy ng sister mo ay yong optional withdrawal, pero nakukuha yon within the 12-month period after 10th year or 12-month period after 15th year, at dapat walang gap in contributions. Ang puede rin is yong 45 years old or older na at meron nang 240 contributions. Wala pa naman akong nabasang new policy. Ito yong provident benefit claim form, nasa likod ang mga rules. Hi! I’ve heard pede na po kunin ang contribution sa pag ibig, I am 38 years old at 6 years na pong walang trabaho, I worked as a manager in a fast food for 13 years, totoo po ba Ito at Kung totoo na pede na kunin anuanu po ang requirements? Thanks po! Hi steve, I think you still have some amount to claim because what they do about delinquent loans is to offset them against total savings. And what you have loaned is 80% of your total savings, so what was left should have earned some dividends. You can visit your branch with your 2 valid IDs and birth certificate and ask about your total accumulated values (TAV) and Provident Benefit claim forms. Hi Teodora, it’s my first time to know of such a case like yours that a cert of employment is required for Provident claim. If contributions were credited to your name, then these contributions should be counted regardless of whether the firm changed name or not. The only exception that I can think of would be if contributions for this company were submitted to another branch, hence they need to match records, or if there’s also a discrepancy in your name. Ask Pag-ibig publicaffairs@pagibigfund.gov.ph if you can just submit a notarized Affidavit that you were employed by that company for the periods ___ and that the company changed its name from ___ to___ and then present a printed copy of the web page that announces the name change. State that the company can no longer certify your employment because of management change and records obsolescence. Write your personal info, Pag-ibig MID. If they disregard your request, email VP Binay, vp@ovp.gov.ph / vpbinay@gmail.com , tell him you’re already 67 years old, and ask for help. 67 years old na ako and will like to get fund from pagibig. I have listed names of my employer and request contribution list from pagibig. However, one of my employer have changed names so it differs from what i have listed versus the name on the contribution. And pagibig requires me to submit certificate of employement. 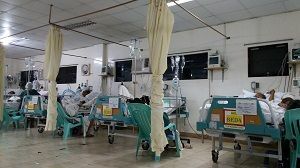 I am now in negros, very old and sick but I tried to ask the company i have worked for a long time ago for cert of employment but they could not give it anymore because of management change and records retention which is a very long time ago. The company website will show that the two company names are the same because of change of name. Can you assist me and not make it hard for me to get my benefits especially on this time that i need it? Can i just submit my employers list again and go on with the process without this cert of employment because it is impossible for me to get it. Hi danilo, ang makukuha nio at age 60 ay your total savings plus dividends. Ang advantage ay higher interest rate (4 to 5% per year) than regular bank savings account na usually 0.25% lang per year. Magtri-3 years na akong naghuhulog ng contributions sa pag-ibig, isa akong self-employed at ngayon ay 58 years old na, ano ang makukuha kong benefits sa pag-ibig? I already got my contributions last 2012 when I resigned from work, if I woill work again and be a PAG IBIG member again, will I use my old number or will I have a new number? thanks and I will be a GSIS member now. I am Deogracias D S Paraiso SSS Retiree. I applied for my retirement benefit 26 February 2013 unfortunately until now my benefit is still on process. What seem to be the problem? Can Ortigas branch expedite processing of my claim which is long overdue? Thank you in anticipation for your prompt action. Some people have commented here that for voluntary members, Pag-ibig also requires a barangay certification that the member has source of income. my husband is one of your member,he already make 3 years contribution,and now he already resigned in the company,.i would like to ask,if ever he wants to loan,what are the requirements needed?